A source of funding for your club! Sage Gives Back creates a source of funding for your Rotary club by partnering with your business, so you can make a positive impact on your club. 20% of proceeds earned are guaranteed to go back to your club. We're proud to have partnered with Sage Bankcard to give back to your Rotary club! The new Give Back program is meant for Rotarians and is exclusive to ClubRunner customers in the US only. Streamline your business' credit card processing with the industry leader at a reduced rate, and donate funds to your club every month at the same time. Sage Bankcard is the same service that Rotary Clubs subscribed to ClubRunner, in the US, are using for their own merchant account and virtual terminal in order to collect online payments and donations from club members and the public. For more information on the Online Payment module, please click here. Get competitive credit card processing rates for your business, guaranteed! If you use merchant services or credit card processing for your business, allow Sage Bankcard to analyze your credit card process. They guarantee to match if not beat your current rate. As a Rotarian who uses ClubRunner, Sage will donate 20% of the proceeds earned each month back to your club, on your behalf. You can choose where you want the donation allocated, whether that be towards your Paul Fellow Harris title, club projects or community service projects. Participating in the Give Back program not only benefits your business but also your club. 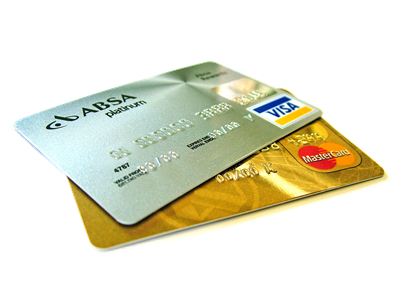 Credit Card processing fees for your business are matched to your current rate, if not reduced. Creates a new source of funding for your Rotary club. 20% of proceeds earned guaranteed to go back to your club. Ongoing, steady and continued stream of contributions toward projects you choose. Effortless transfer of funds to your club. Everything is managed for you! Not only will you save on your business credit card processing fees, you will also be making a contribution to your Rotary club automatically every month! For more details on this program and to get your free analysis, contact ClubRunner's dedicated Sage representative, Rick Garboski or fill out the form below to be contacted by Sage directly. Note: Sage Give Back Program is meant for businesses and clubs in the US only.